I love breakfast! This breakfast is a hybrid between an egg dish, peaches ‘n cream, and pizza! It takes very little time to make and is absolutely delicious! Blend all the ingredients for the crust together and pour onto a pan sprayed with non-stick spray. Cook on LOW heat until almost cooked through. Then flip and cook the other side. You can also cover the pan which will cook both sides without flipping. 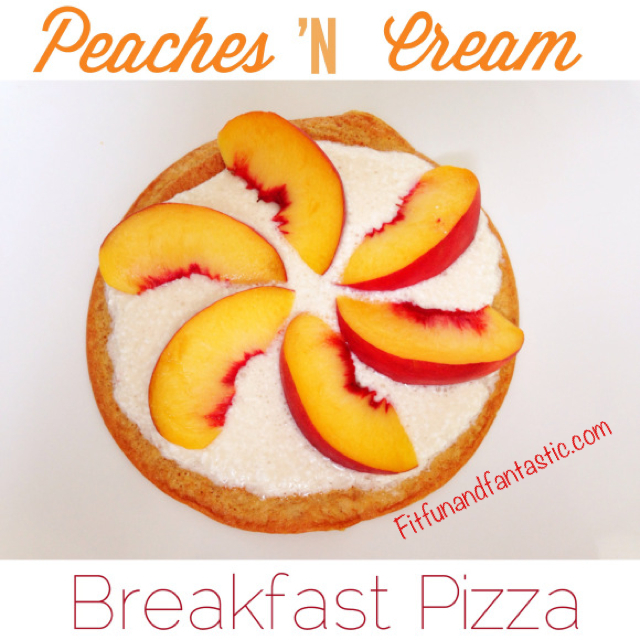 0 Responses to "Peaches ‘N Cream Breakfast Pizza"
Can this be made with a different type of flour? Maybe rolled oats blended? Yes, oats should work fine. Also coconut flour, however you may need to increase the liquid. You could use greek yogurt instead. That should work, but I have not tried it so I cannot guarantee it will work.